Eyeing something purple from your share? Peruse the images and descriptions below to find out what it is. This mottled purple-green herb has a pleasant anise flavor. Aromato basil works well in Thai curries and raw salads. Bull's Blood beets are small, round beets with candy-striped coloring inside. The richly colored greens can be sauteed for a nutritious side. Try roasting the roots in olive oil and salt. 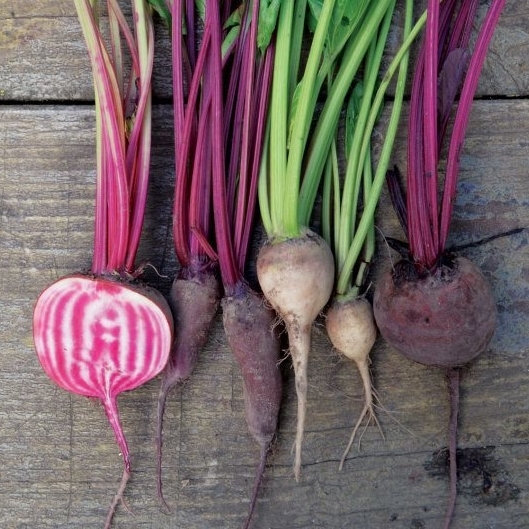 Beautifully striped, this pink and white beet is sweet and a bit starchy when eaten raw. They can be treated the same ways as red beets, but the coloring fades. Try slicing them thinly into salads. A sweet beet with a shape that makes it well suited for pickling. The oblong shape of Cylindra beets yields even slices that allow for even cooking and little waste. Dancer eggplants are mild, medium-sized eggplants. There is very little bitterness in the flesh, so salting isn't necessary unless you want to remove moisture. Try making eggplant Parmesan or moussaka. 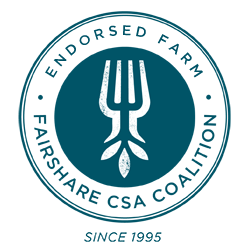 This elongated medium-sized eggplant has a dark purple-black skin and mild, firm flesh. Try these eggplants in a rustic French tian, served with a good crusty baguette and maybe some cheese. In shades of red, pink, purple, and white, these multicolored radishes make beautiful additions to salads and sandwiches. 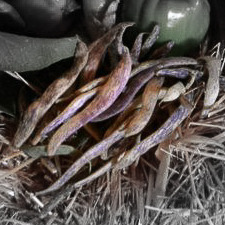 They are similar in flavor to more familiar varieties. 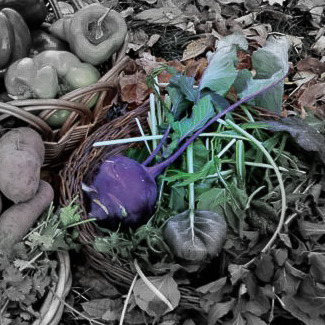 Purple outside, crisp and white on the inside, this is a strange-looking vegetable with a familiar cruciferous flavor. Kohlrabi can be baked in gratins, sauteed in stir-fries, or eaten raw win slaws. Peel if the skin seems thick or tough. An heirloom variety from Taiwan. Long and slender, these eggplants cook quickly, making them an ideal choice for roasting. Try this miso-glazed eggplant if you're looking for a bold flavor. Red Burgundy okra is a larger okra variety with striking flowers and pods. To reduce the 'sliminess' of okra, try cooking or grilling it whole. Or, harness that slime and use okra to thicken gumbo or soup!